Canada's New Food Guide: Yay or Nay? Home > Canada’s New Food Guide: Yay or Nay? It’s about time that Canada updated its Food Guide. Since its creation in 1942, the food guide has only been revised seven times with the last revision done in 2007. When Canada’s Official Food Rules were first introduced the intention behind them was to fatten up Canadian soldiers participating in World War II. Canadians were told to drink a pint of milk per day, eat 4-6 slices of bread, consume some fruits and vegetables, eat one serving of meat or fish and consume 3-4 eggs weekly. Over the years things have changed. The language has softened and the guidelines have broadened. “Canada’s Official Food Rules” became “Canada’s Food Guide” and specific foods were replaced with four general food groups. A lot of changes had to do with the food industry’s continued lobbying for more prominence. The milk industry for one, called for higher servings of milk and in 1992 Health Canada increased the recommended servings of meat and dairy foods in response to this pressure. 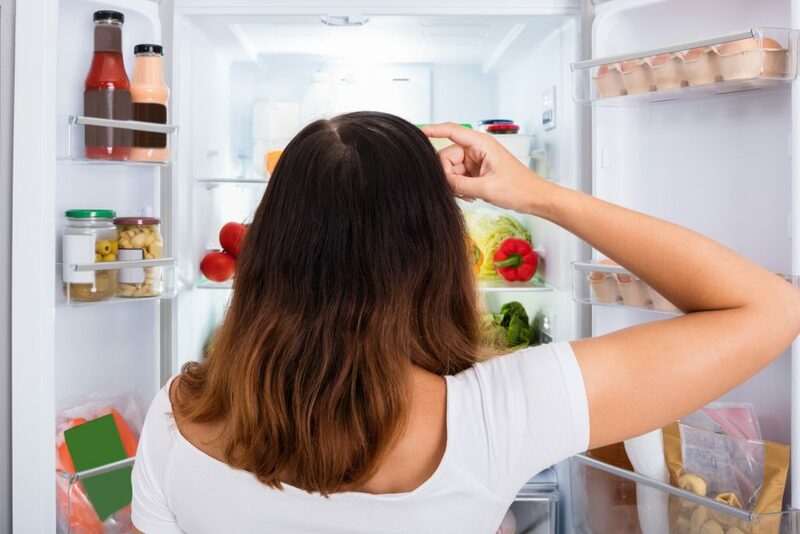 This lobbying has negatively impacted the food guide’s credibility and in response, Health Canada declared that they would not be meeting with representatives from the food and beverage industry this time around. Bravo to them for that. Now, I bet you are wondering what I think of Canada’s new Food Guide and I’m about to share, but first let’s go over their most recent recommendations. The new food guide is a picture of a plateful of food, divided neatly into one-half vegetables and fruits, one-quarter whole-grain foods and one-quarter assorted protein-packed foods. I have to admit, I’m somewhat impressed with the new guide. While I’m not in total agreement with everything being endorsed, it’s clear that improvements have been made. For one, the guide is promoting healthier eating habits on the whole. Having one-half of the plate loaded with fruits and vegetables is a step in the right direction. Not only that, but the new guide appears to be much more inclusive of certain cultures and dietary preferences. That being said, I do have some concerns. Concern #1: The guide lumps fruits and vegetables together. Despite being natural and full of phytonutrients, fruits do contain fructose. Ultimately, sugar (even natural sugar) increases our risk of becoming insulin resistant and can create inflammation in our cells. Someone looking at the new food guide might think 8 servings of fruit and one serving of vegetables per day is the right thing to do and would be consuming way too much sugar. Concern #2: Good fats aren’t distinguished on the plate. Good fats like those in olive oil, avocados, coconut oil or fatty fish are important for our health. While fats have been vilified in recent years, it’s a proven fact that your brain and your body NEED healthy fats to function optimally. In fact, fat plays an important role in the structure and function of our cell membranes. For this reason, I think that healthy fats should have their own section on the plate to remind people to integrate them at each meal. Concern #3: Grains are still considered a staple. Research is now showing that consuming too many grains (whole grain or not) can be detrimental to one’s health. Grains are carbohydrates and complex or not they can increase our risk of becoming insulin resistant and create inflammation in our cells. Due to this, grains should be consumed in moderation, especially those containing gluten as they often create irritation to the digestive system of many. In my book Hack Your Health Habits I discuss the food guide at length and share my version of it with you! 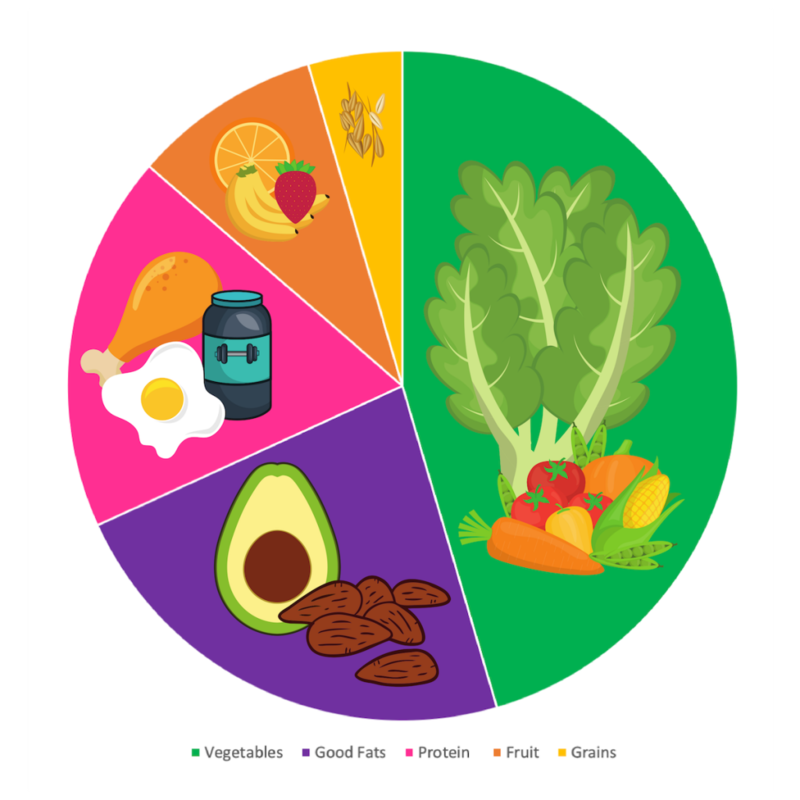 Click here to check out the Hack Your Health Habits Food Pyramid. So, there you have it my two cents on the new Canadian Food Guide! One last thing to take in consideration is that there is no one-size-fits-all when it comes to nutrition and you have to figure out what works for you. The Canadian Food Guide is that, a guide. It is definatly a step in the right direction! I hope you enjoyed the blog and remember, it’s important to be your own health advocate. Do research, find out what foods work best for you and your overall well-being. Excellent review!!! I could not have said it better myself. I completely agree with your 3 concerns. My 4th concern is in regards to limiting saturated fats and encouraging consumption of vegetable oils as healthy fats, but to say otherwise would have national economic consequences. Yes, vegetable oils are also a big issues indeed!